Executive style homes with an Elegant country feel with oversized 1 to 3 acre private and treed home sites! With the opening of I-295 this community just became even more convenient with less than 25 minutes to Fort Bragg! Just 7 miles to Fine Dining and Boutique Shops in Downtown Fayetteville. 15 Miles to Ft. Bragg Army Base. 11 Miles to Cross Creek Mall. Fairview at Rock Hill is an exceptional new home community located in Eastover. Fairview presents an elegant country feel with large private home sites with beautiful trees surrounded by an abundance of green space. Residents will enjoy gently winding streets and private cul-de-sacs. Fairview at Rock Hill is conveniently located right off Dunn Rd which allows quick and easy access to major interstates, shopping and restaurants. Now with the opening of I-295 you will be in Fort Bragg and major shopping in less than 18 minutes!! 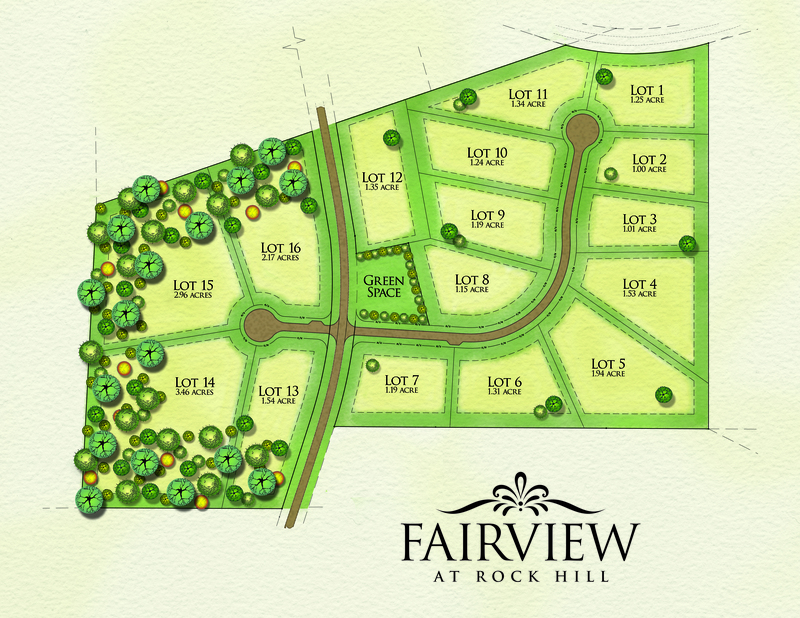 Relax and make Fairview at Rock Hill your new home! Hurry, before your ideal homesite is gone! -From Fayetteville take Bragg Blvd I-295 extension to I-95 South, take Eastover exit, turn left at stop sign, go down about 1 mile take left on Rock Hill Rd. Fairview at Rock Hill will be down on the left and right sides. -301 North, right on Grove Street, Left on Dunn Road, Go about 2 miles and take a right on Rock Hill Road. Fairview at Rock Hill will be down on the left and right sides. 2,414 - 2,740 Sq. Ft.